I totally didn't plan on being gone for quite this long. A week or two at the very most, but a month!! Where the heck did November go?! And how are we already only 11 days away from Christmas?! I'm so far behind on my Christmas sewing! But i do have another finish for my FAL list. Well it's long been finished and sent to it's new home. Unfortunately my full shots were blurry. Take a look. Eek. Not so great. And i have to say, there's a reason why i keep my quilt backs simple. Pieced backs are not my strong suit. I just can't do it. I probably should have stopped with just the maples, and left the rest grey. But in an effort to use what i had, i frankenbacked it and stitched up all the little bits i had left over. Let's just leave it at that, shall we. 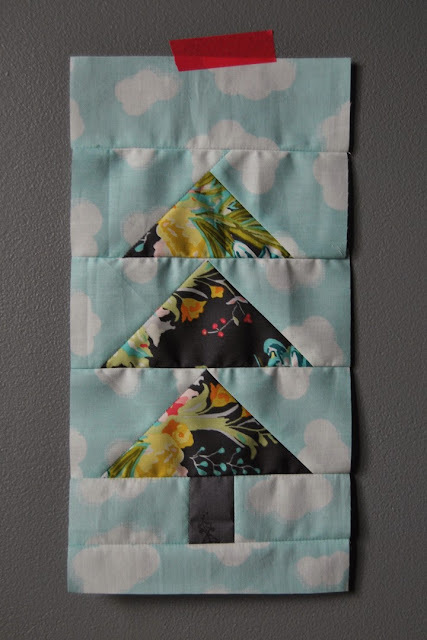 Super simple quilting on this one. 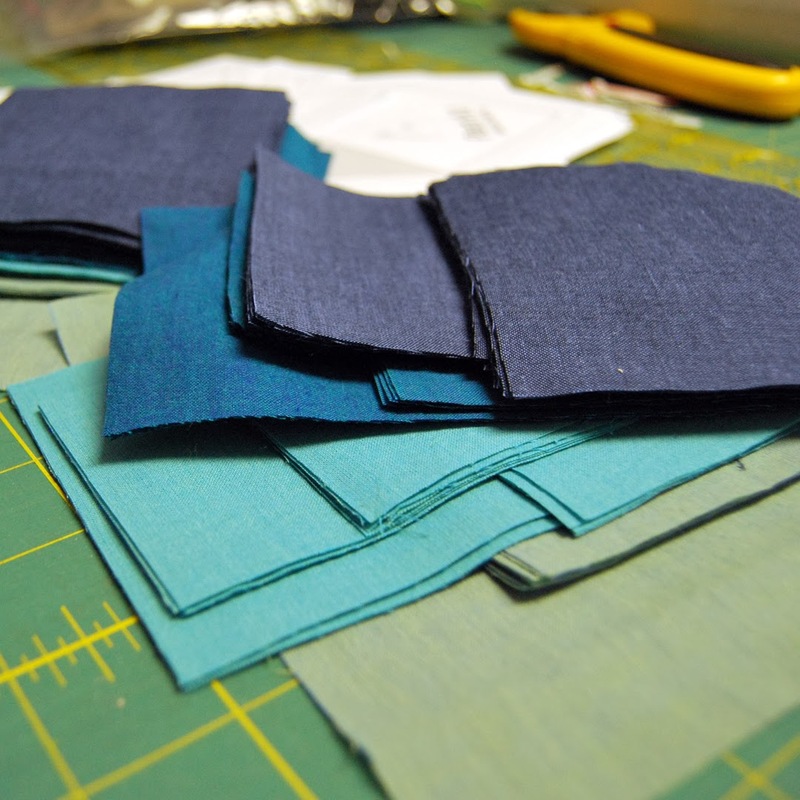 A quarter inch outside each seam, done and done. This one finished up at 71x94 and after quilting it i swore i would never tackle anything else this size again. 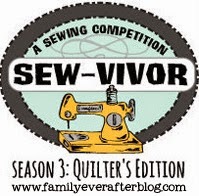 The actual "quilting" part of quilting isn't my fave. 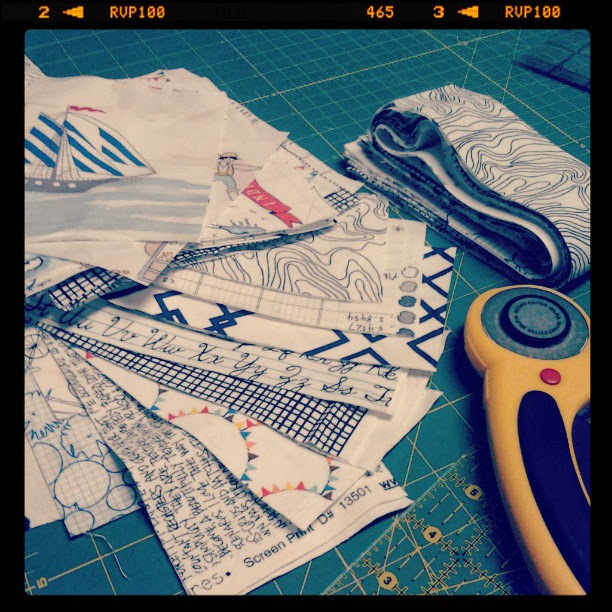 I'm definitely more of a planner, like you all hadn't already known that, what with all my half started projects! So having to maneuver this through the throat of little old Ken meant keeping it simple. I like how it turned out, enough quilting to keep it together, and at the same time it feels kinda campy, retro. Maybe that's just me. So then with thoughts of finishing up some Christmas gifts i sold a quilt in my shop... to someone that wasn't my sister! And she wanted it personalized. So this is what i came up with. She picked the font and i appliqued it on using Heat and Bond Ultra, then sketch stitched around the edges. I love this quilt and part of me hoped that no one would ever buy so i could keep it... probably not the best way to run a business though! So finally with that project taken care of, back to the Christmas gifts! Nope... wait... another order through my shop! Really people, a month before Christmas! Not that i'm complaining. So this one was for a quilt similar to the Constellations quilt i have listed in my shop, only in a queen size. Gulp. I'm pretty sure i swore off HST's the last time i made one. Though i think i say that every time i have to square up HST's. This one went together surprisingly quick. 357 hst's, most of which were squared up on my lap with my trusty Omnigrid cutting/pressing fold away dealie, while getting caught up on The Walking Dead. I also went about this one in a way entirely new to me. I would normally square up everybody and start sticking them up on my design wall, you know, to get that perfectly random placement. Then stitch them all together in rows. 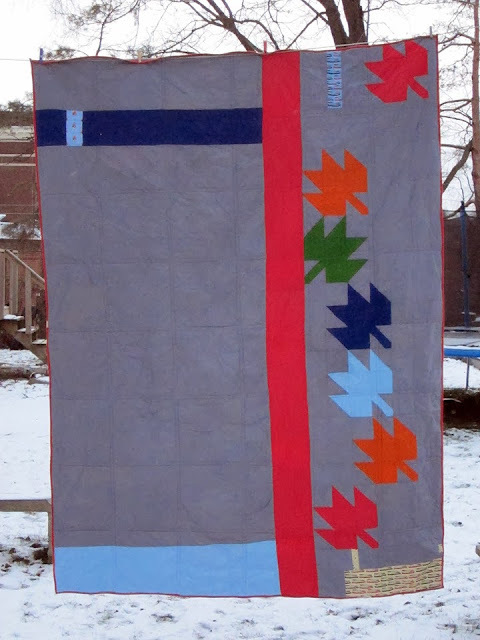 This time i broke the whole quilt top into 16 segments, figured out how many hst's i needed for each section, then divided all the hst's equally by value into each section. 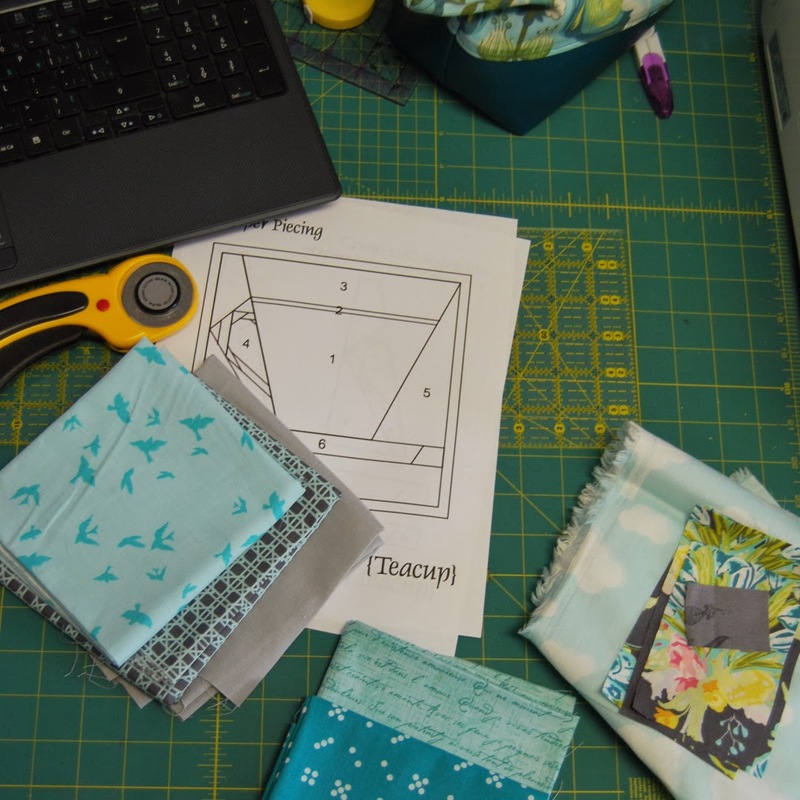 I found by doing it this way i was free to square up a smaller amount of hst's at a time, as well as being able to sew them together into blocks that i could later attach all together. It felt like it went by a lot quicker than normal, i think maybe because i was seeing the progress at the final stages while i was still squaring up. Did any of that make sense? Feel free to ask any questions if it didn't! I must say, i love this one, possibly more that the first one i made using these fabrics. I've added in a lot of prints i didn't have the first time around and used Kona Steel for the grey instead of Iron. Violet Craft's Waterfront Park played a big part in this one. Both the black and white domino dot prints as well as the lagoon domino dot print and reflection and shattered prints in luna all were essential to bulking up my slowly dwindling collection of Constellations. I used the Constellation print in teal for the binding. I love this print for binding! Just the perfect amount of interest without being too busy! And the quilting, after finishing up the Take a Hike D9P i swore off big quilts, but much to my delight, my machine handled like a dream. Well, maybe i won't go that far. But i had originally planned on just horizontal quilting, so i started with my standard quarter inch out on both sides of every horizontal seam, with plans to go back and fill in a bit here and there. But after getting that far i thought i'd give it a try on the verticals. 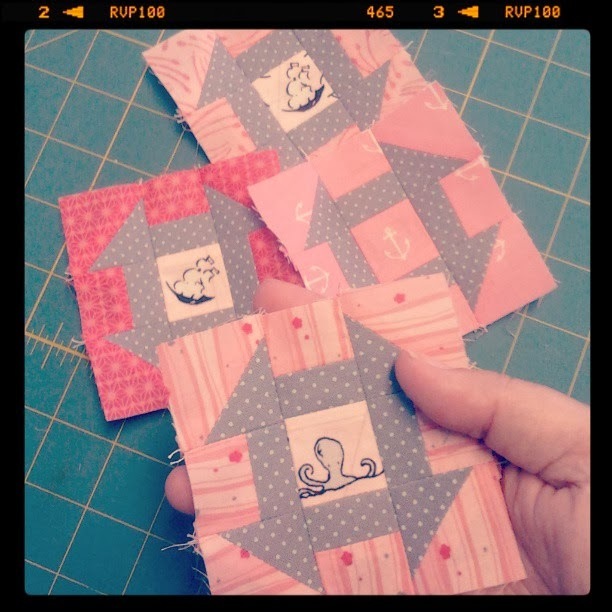 I normally don't do this, i always seem to have issues where my quilting intersects. Little puckers getting folded over and looking terrible. This time though, no problems! I skipped every other seam while doing the verticals and ended up with a lovely bunch of rectangles on the back. I did have such great photo plans for this one, plans that involved an ice incrusted river and a pier. But the wind and freezing temps, along with a bout of the the plague and a wicked cold, put a damper on that. So the clothes line it is! This one finished up at 78x98 and if i had of been making it for my shop, it would have never made it there. I love it that much! I have so many other things on the go that i want to share but i can't and it's killing me! 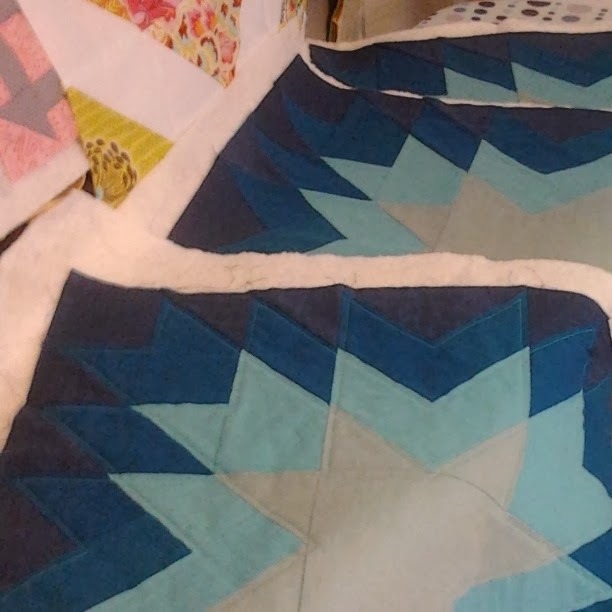 Finishing the six remaining stars for this quilt, and perhaps thinking that i should have asked Santa for a new cell phone with a better camera, sorry for that craptacular pic! Along with a bajillion other sewing projects. Then i can finally start in on the AMH bedroom makeover! My mom was kind enough to pick up most of the entire line of Dowry for me for Christmas along with yardage of a couple of my favorite prints to make pillow cases out of. And some of her gorgeous velveteen from her Field Study line to make pillow shams with! I'm so excited! And with that, i wish you all a wonderful weekend! We're heading out on Saturday to get our tree and i've finally had a bit of time to get some of the decorations up! How about you, wishing for more time before the big day?! Where to begin, when the words don't want to come? I had planned on posting earlier in the week and time got away from me. I haven't even been keeping up with my blog reading and commenting, and my response time for comments on my blog seems to be lacking as well. Does anyone else ever have this problem? I have so many things that i could be talking about and yet i just don't. When i could be writing a post i've been avoiding it in favour of doing some more sewing, so i'll apologize now if my posts are few and far between for the next little while. And i hope you all still stick around because i will still be here, and i love sharing my projects with you all! I guess lately i feel like it's just the same thing over and over again here. 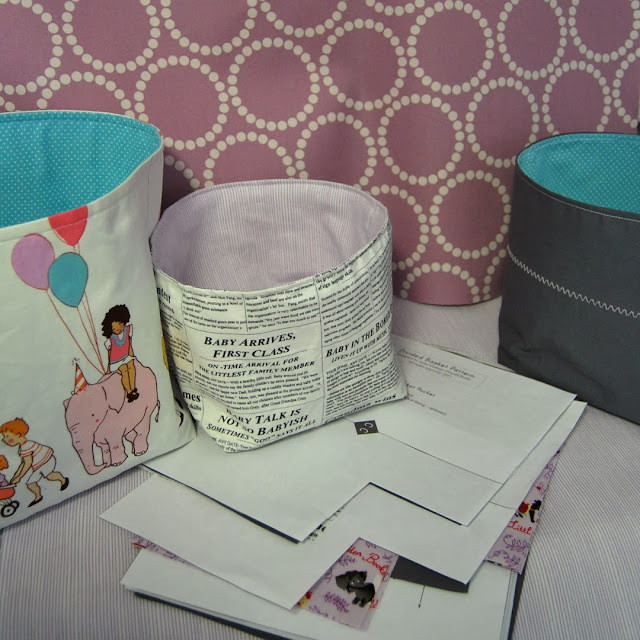 More Penny Sampler, more open wide zip pouches (i have another to share today! ), more projects started and will we ever see the finishes? So i guess that's where i'm at. And now rereading that it sounds as if i'm feeling sorry for myself, which i'm not, i just don't want to bore anyone with a whole lot of the same thing over and over again! My tea service is done! Those that follow me on Instagram (@snippets101) have already seen this but i just love it so much that i had to share! If ever anyone comes across a tea set that looks like this let me know, i would love to own it!! Crossroads, Boxed In and Framed are all done! Please ignore the herringbone block on the left side, it's my october bee block and i needed to keep it somewhere safe until i could mail it. So, you'll maybe have noticed that i said looked like this. And again for those that follow me on Instagram you already know where this is going. I've been staring at this for so long thinking that i didn't like my newest three blocks, especially boxed in (upper right with the tea cup) They were all looking too crisp, know what i mean? Turns out that i do in fact like them and it's the background fabric i chose for all the little pluses and the sashing that i don't like! So out came ripper and now my Penny Sampler looks like this! 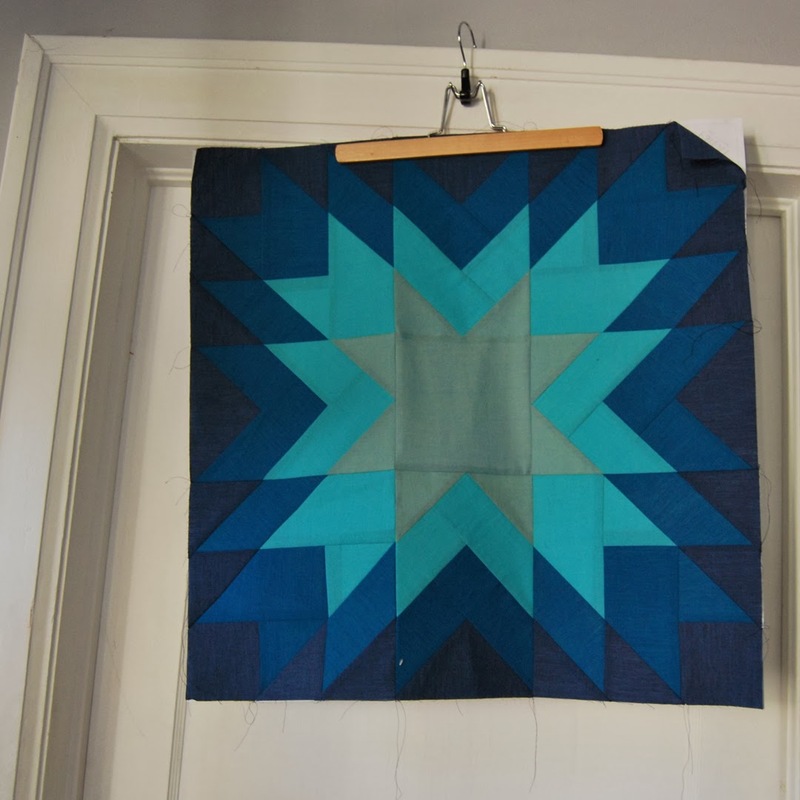 I still need to take out the piece in between the top and bottom sections of my Hanging Diamonds (the long block on the left of the quilt). I already like it so much more! As for a replacement fabric, ideally i would like to use the pale grey crosshatch print from Architextures, but i don't have enough and my LQS doesn't have any more in stock. So i have a couple other fabrics in mind that i want to check out when i can get in there, maybe Pearl Bracelet in Hiho Silver? I'm wanting a subtle colour that just fades into the background. We'll see. I've also decided that i don't have it in me to remake all 17 of the little plus blocks again. So i'll just be adding in the strips of fabric and then i'm thinking i may either embroider all the pluses back on or wait until i'm finished and hand quilt them all on. What do you guys think? So yeah, that's how things are going with my Penny Sampler! 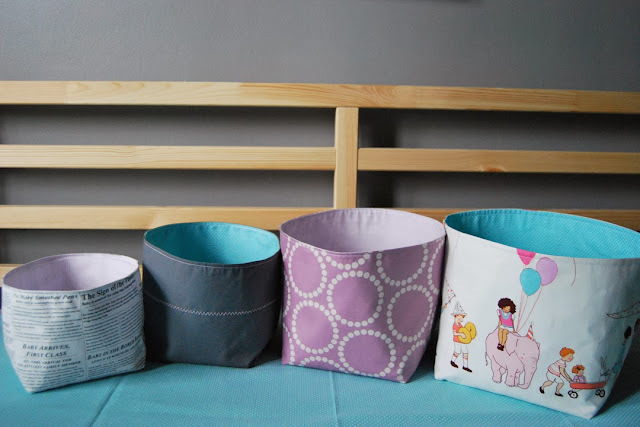 I also have been working on a shower gift for a friend of mine, i finished the nesting bowls and divided basket last week and have now added an open wide zip pouch into the mix! I used Heather Ross's Hex Bee print in lilac with a strip of Pearl Bracelet in Meyer Lemon? (i think). And a coordinating lilac solid for the bottom. I though it would be nice to have a little zip she could throw into her purse with some little things for herself and maybe a little bit of stuff for the baby. 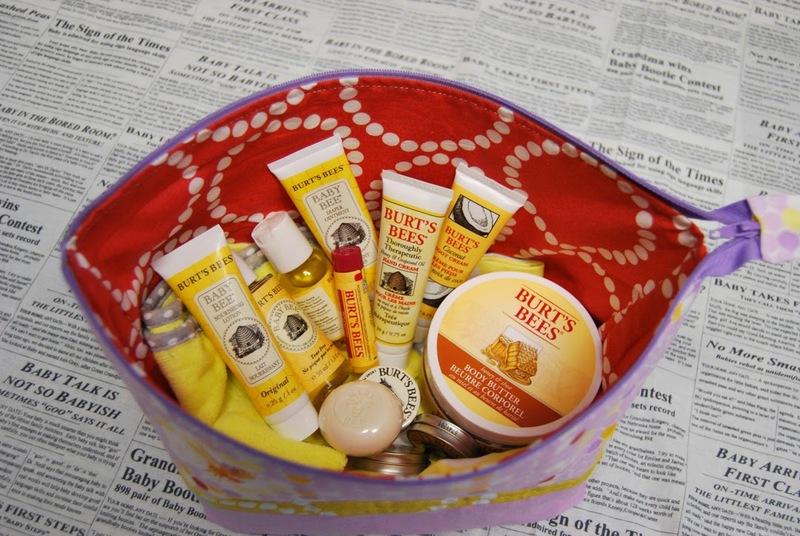 So in keeping with the "bee" theme, what better products than Burt's Bee's. I love this stuff! 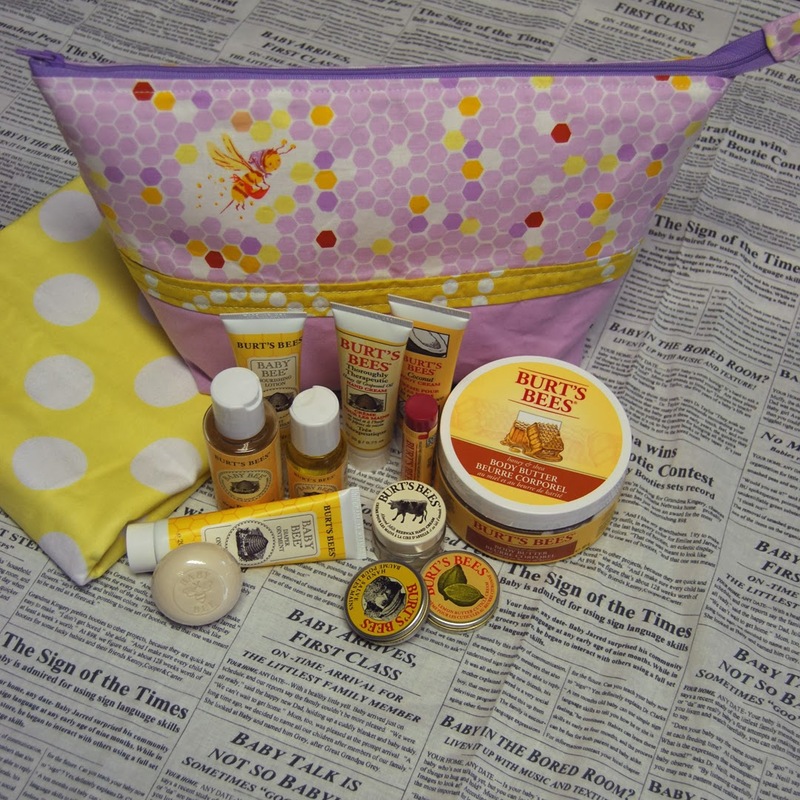 And here's a lovely little shot of the whole gift! I managed to find a bunch of vintage Disney Little Golden Books to add into the divided basket to go with the lining fabric! I also still have a a couple of swaddling blankets that i want to make with some super soft flannel that i picked up, i may or may not get them done on time. Shower's tomorrow! I hope she likes it all! (And just so everyone knows, this gift is also from my mom and my little sister as well! my budget doesn't allow me to be quite this extravagant!) I can now check this one as done on my Q4 FAL list! And i would also like to thank Gina for the absolutely perfect AMH Folksy Flannel i used for the back drop fabric! I'll be sharing soon what it's going to be used for! This week i also manage to finish up Sammy's Halloween costume. He asked to be a pirate and wanted Max to be his first mate so he could boss him around! Well, i happened to come across a super cute parrot costume while out shopping with my little sis and thought... under twenty bucks, and one less costume to make? Done! So instead of a first mate for Sammy, he got a parrot! I managed to scale back Sammy's wish list for his costume, there was a very firm no to allowing him a boat. He wasn't too happy about that. I also said no to the peg leg, again not pleased. But i told him i would gladly get him a sword, hook and spyglass. He also needed an eye patch (that Max ended up wearing over one of the bird eyes) and asked if he could have a beard and mustache. None of which lasted out the front door! His costume started with a trip to the thrift shop. I picked up a ladies blouse and was super excited when i found the leather vest with matching (horrid) belt! The pants are a boys size 7 (Sam is in a 3-4) I was able to just cinch them around his waist with one of his own belts after cutting the bottoms off. They're a linen cotton blend so after cutting them off i just gave them a good shake and they frayed perfectly! The blouse on the other hand was more tricky. I had to remove the sleeves and take in the width of the whole shirt as well as the armpits. 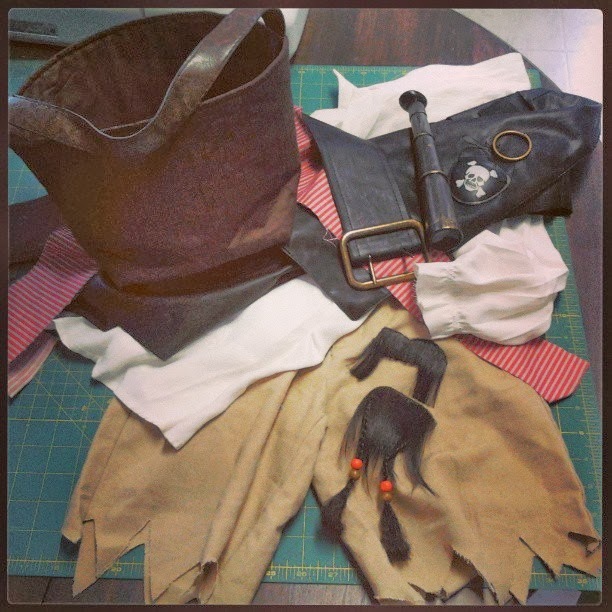 Then reattach the sleeves, remove the cuffs and add elastic to give them a more piratey feel. I took the width of the vest in at the sides and the back then just hacked it off at the bottom and called it done. As for the belt, i obviously had to pop new holes in the large belt and the stripey one is just a WOF strip from my stash. Another of his requests was for a treasure chest (i have no idea how he was planning on carrying all this stuff). I instead made him a candy bucket out of wood grain fabric. I wish i had a better photo of it. sorry for the lousy IG! I used the Nova nesting bowls pattern in the 7 inch size and added a leather handle. He loved it and carried it around from house to house on his hook! Finally, here's a shot of Sammy teaching Max what to do when they get to someones door. Nothing cuter than a pirate and his parrot in rubber boots! I'm off to cut more fabric for my Penny Patch. So, what should i be doing you ask?... well, let me show you! Working on this cute little set i'm making for a friends shower gift! She's having a baby girl the end of January and i will be making the little gal a quilt but her shower is the first weekend of November and i just don't have time to get it done for then! So i'm whipping up a set of four fabric nesting bowls from a cuppa and a catch up, as well as a divided basket from Noodlehead. I have one more fabric bowl to make, the pearl bracelet will be the outside and the lavender stripe will be for the inside. And the divided basket is going to be Kona Steel on the outside with that newsprint fabric for the pocket and i found a cute Little Golden Books print that i'll be using for the inside! I'll share more details along with all modifications when i finish up! So what have i been working on? 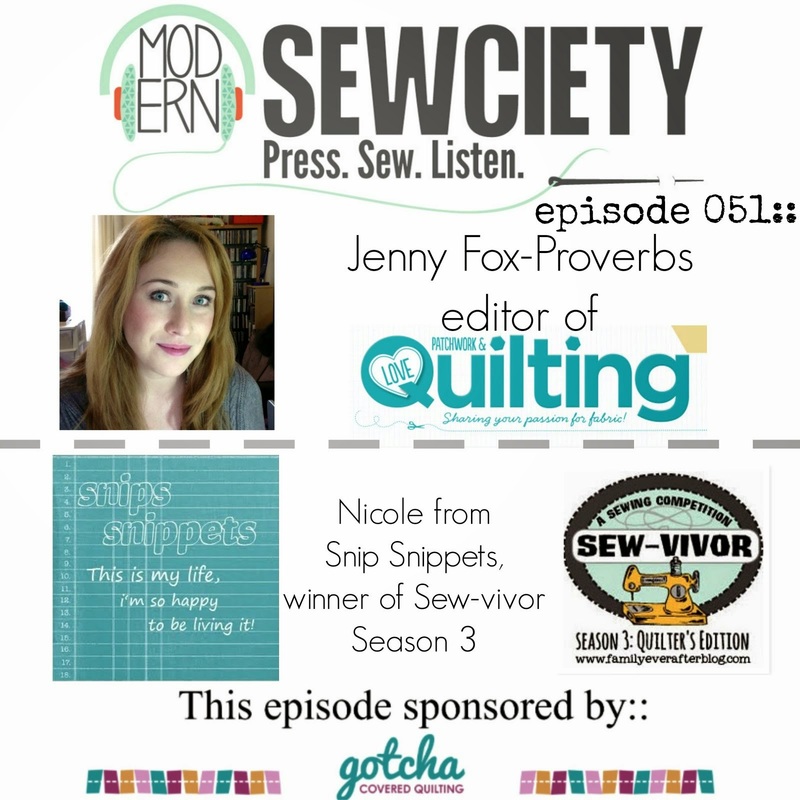 Trying to get caught up with my Penny Sampler! 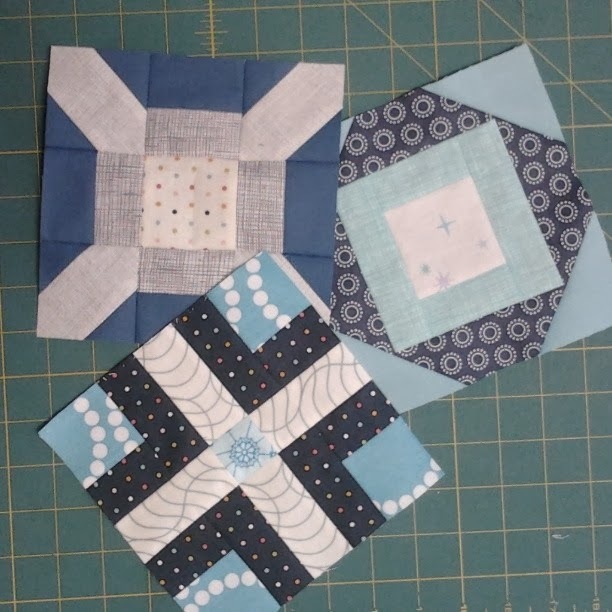 I'm five blocks behind on the precise piecing portion of the class and i now need to make two paper pieced teacups and a whole whack of "Penny Squares", little squares that sit above my top row of diamonds as well as being scattered around the quilt in threes. So i've been in fabric pulling mode! 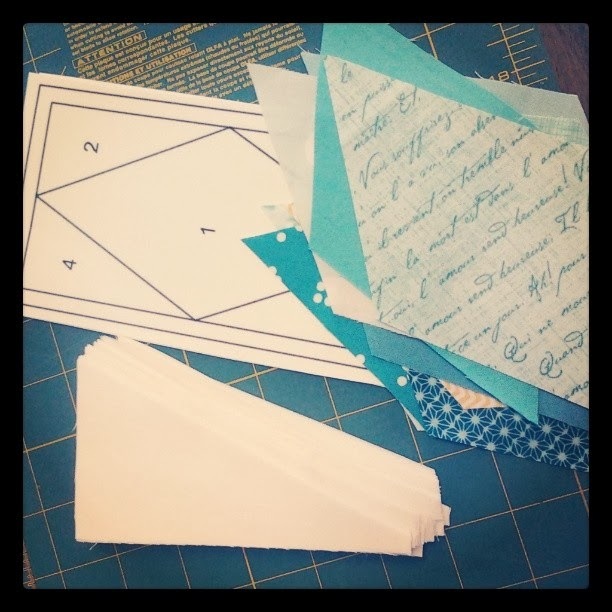 I think i may have already mentioned that i'm super excited to have started the paper piecing portion of this class, but really... how awesome is that little teacup! And how awesome is it going to be made with the gorgeous birds from Waterfront Park! Who wouldn't want a tea service in those birds? The other stacks are for my whirl block and my stacked pine blocks. Now to figure out the fabrics for the rest! High fives for doing what i want! Getting my link on with Lee over at Freshly Pieced as always... it's where all the cool kids are! The top row of diamonds for my Penny Sampler! Thanks to everyone last week for your input! The yellow has been switched to shades of blue with a little pop of yellow! I like them! And i loved making them! 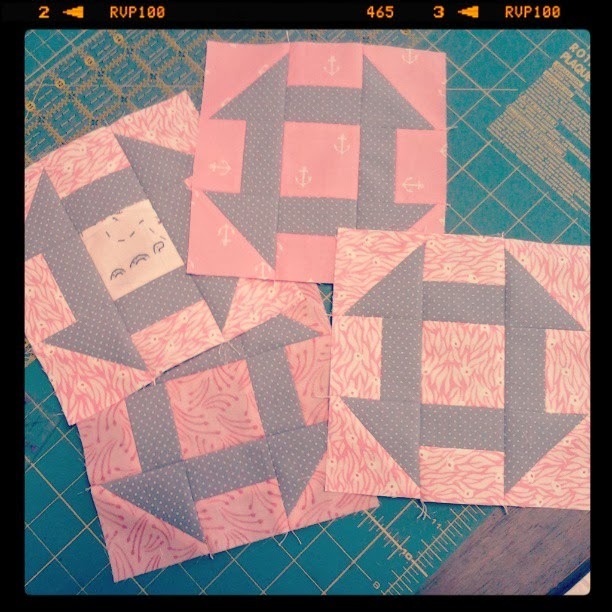 It's nice to have moved into the paper piecing portion of this class, i've been eagerly anticipating it! This one is a commission and not quite my usual fabrics. Don't get me wrong, the Take a Hike line is cute and i do love the prints with the little raccoons but as a whole it's a bit too outdoorsy for me. We're not big on camping over here! But paired with all the grey and in a modern D9P pattern i think it works. Though truth be told, i blindly paired all the blocks together for the whole process then just grabbed and stitched the rows together. And after seeing it as a whole there are quite a few blocks that would have been better spread out! Oh well, live and learn right! I'm hoping to get the backing for this one made up this weekend, some modern maples will be going on the back... and then to figure out the quilting! Not looking forward to that, this one sizes up at 75" by 105", eep! I hope my little old Ken is ready for this one, time to bust out the crowbar! And have begun fussy cutting filler prints for around the churn dash blocks. They all vary in size with the largest being an 8 inch block and the smallest being 3 inches. I was hoping to have this little top finished up this week as well but some things are just way more important! You may have also noticed that i've added a new button on my sidebar!... um, yeah... about that, I've decided that one teeny tiny little project added to the list won't really hurt will it?! 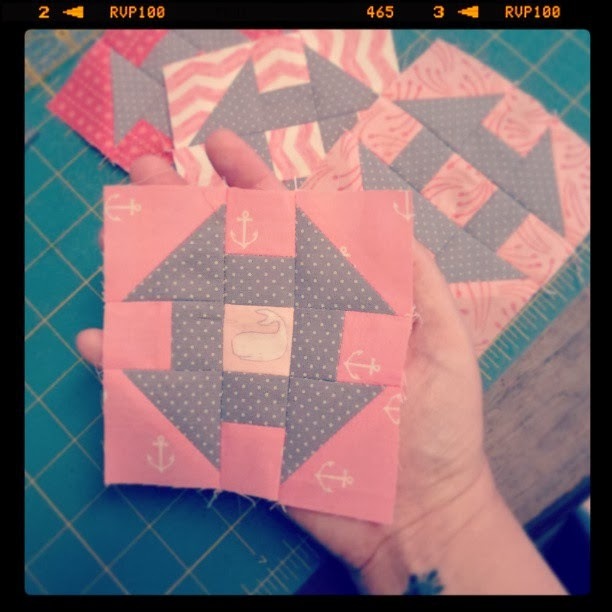 We made some Penny Patch blocks for our Penny Sampler and as soon as i saw them i new i would eventually like to make a whole quilt out of them. 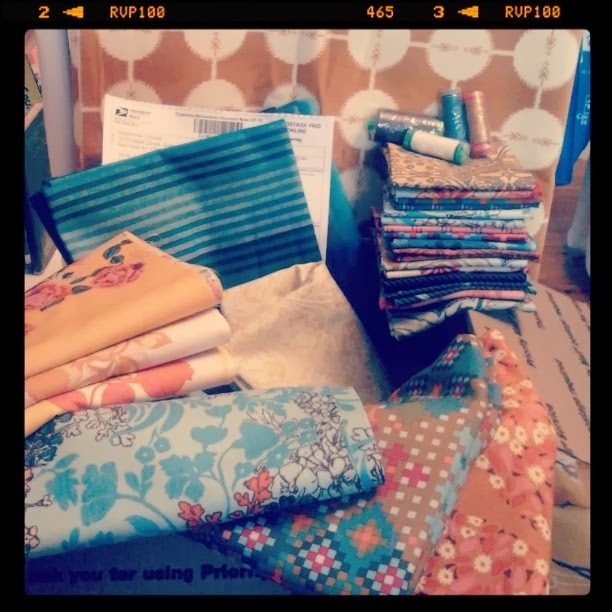 Then when Rachel put together the Penny Patch QAL i thought, hey, why not! Plenty of time to add another to the list! So remember the stack i put together for my two little guys birthday quilts? So that's that! I think i have just enough time to link up over at Amanda Jeans for Finish it up Friday, and i'm happy to be able to link up something again over at Kristy's PPP!